An issue with Amazon's web servers took down Netflix for some subscribers as they settled into watch festive movies on Christmas Eve and Christmas Day. Amazon Web Services, which hosts a massive array of the world's most popular online services, said it is experiencing an issue with the Elastic Load Balancing Service on the east coast of the United States. The fault restricted access to Netflix "on some, but not all devices" at perhaps the most important time of the year, as families gather to catch-up on old classics. 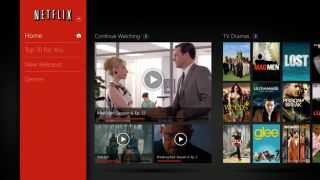 Some users testing out the the streaming platform with new gadgets and activating new subscriptions received as Christmas gifts will also have been disappointed. Netflix tweeted on Christmas Eve to say: "We're sorry for the Christmas Eve outage. Terrible timing! Engineers are working on it now." However, the company is likely to be furious with Amazon. In a further twist, the rival Amazon Prime Instant Video service has reportedly remained online throughout the village, although there's little hint of an attempted Christmas coup de grâce. As well as Netflix, the Heroku cloud application platform also fell victim to the issue, which Amazon was still working on correcting on Christmas morning. Netflix says the majority of its customers were back online by Pacific Time in the US on Christmas Eve, which is eight hours behind UK time. Amazon's servers last experienced a major outage back in June, when it knocked out Netflix, Pinterest and Instagram, among other popular services.